Andrei Tarkovsky was dying of cancer when he made his final masterpiece, The Sacrifice, in 1986 - and it is a film that only a dying man could have made. 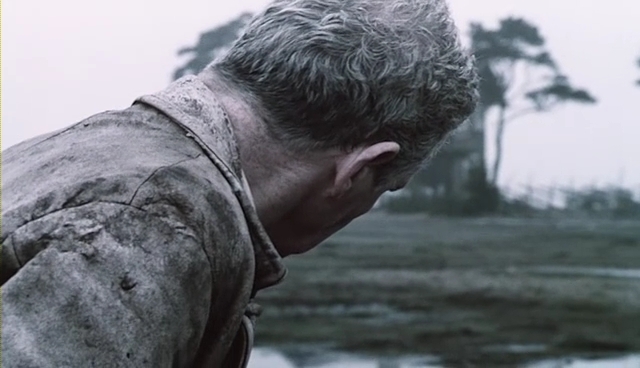 Every frame of the film is etched with the wisdom and the reflection of a man who has stared into the face of death. It is the work of a man coming to terms with his own mortality, cycling through the stages of grief as if Tarkovsky himself used the film a kind of personal therapy, of dealing with his own impending death. 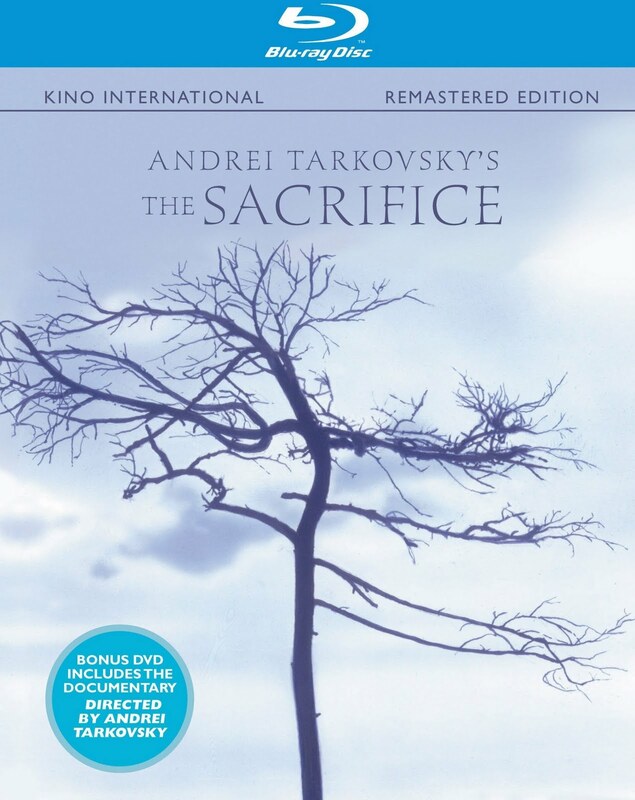 Just in time for the film's 25th anniversary, Kino International is releasing The Sacrifice on Blu-ray for the first time, fully restored and remastered and more beautiful than ever. DVD Beaver has an excellent comparison of the new Blu against older releases of the film, and it's a vast improvement. Sven Nykvist's breathtaking images have never looked better, popping off the screen even at their most muted. Despite the fact that The Sacrifice is a film deeply rooted in the social climate of its time, it still feels as timely and as relevant as it ever did. The film centers around an aging philosopher named Alexander (Erland Josephson), who is spending his birthday surrounded by friends and family, engaged in deep conversation and bonding with his young son. Gifts are exchanged and deep questions probed, when out of the blue the world descends into nuclear war around them, cutting them off from the outside world. Alexander realizes that, with World War III upon them, that the world will never be the same again, and no one will ever again experience the beauty that he himself experienced throughout life. So he makes a deal with God, offering up the ultimate sacrifice in exchange for returning the world to its pre-war state, free of the nuclear holocaust that has ravaged the land. The film plays out like a sort of parable, a deeply introspective and philosophical work whose questions have nagged humankind since the beginning of time. Some may find Tarkovsky's style wordy or even overly theatrical, but here takes on an almost Bergman-esque level of lyrical contemplation (aided by the haunting imagery of Bergman's frequent cinematographer, Nyqvist). Every word means something, each lingering shot, each cry of anguish. But exactly what they mean is left almost entirely up to the audience. 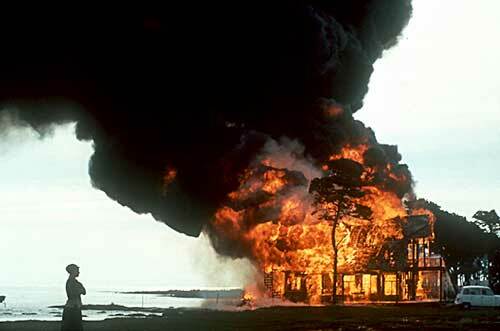 This was obviously a deeply personal film for Tarkovsky. When Alexander falls to his knees, pleading with God, desperately trying to bargain his way out of a cosmic cataclysm that is out of his hands, it is almost as if Tarkovsky himself is making a similar deal with the almighty. The Sacrifice is essentially Tarkovsky's final manifesto, the testament with which he wanted to leave the world about, well...life, the universe, and everything. It is a stunning and brilliant summation of a legendary career, and Kino's sumptuous treatment of it is befitting of its stature in cinema history. It may not be loaded with extras (although the two disc set includes the feature documentary, Directed by Andrei Tarkovsky, by his frequent editor, Michal Leszczylowski), but the packaging is gorgeous. The most important aspect of this release, however, is the impeccable transfer. The Sacrifice is a film that demands to be seen in HD, and the 1080p presentation is simply astonishing. From the eerily muted colors that mark their post-apocalyptic world, to the striking black and whites, The Sacrifice remains one of the most beautiful films of all time whose release on Blu-ray should be celebrated by cinephiles everywhere. 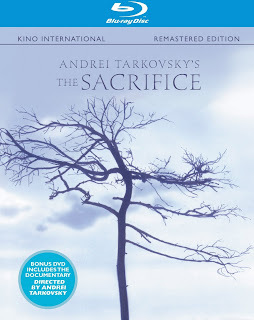 THE SACRIFICE | Directed by Andrei Tarkovsky | Stars Erland Josephson, Susan Fleetwood, Tommy Kjellqvist, Allan Edwall, Guðrún Gísladóttir | Not rated | In Swedish w/English subtitles | Premieres on Blu-ray and DVD from Kino International, Tuesday, July 5.